findinglean.com » Blog Archive » A new Car (almost) a 3K Walk Race and Braces? A new Car (almost) a 3K Walk Race and Braces? On September 22nd I was in a rather nasty accident. A woman blew through her red light and hit me full speed on the passenger side of my truck. 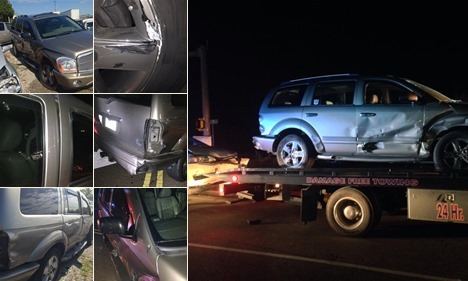 The damage was sever enough to total my 2006 Dodge Durango and while I’m fine I do have some stiffness still around my from being tossed about. The only physical issue this brought on was my need to take some pain killers again for the first time in several weeks, which is a bit of a bummer, but on the bright side no one was seriously injured (beyond the vehicles). Also hopefully tomorrow I’ll be picking up my new ride and get out of this awful rental car and into my new (to me) 2011 Audi Q5S. 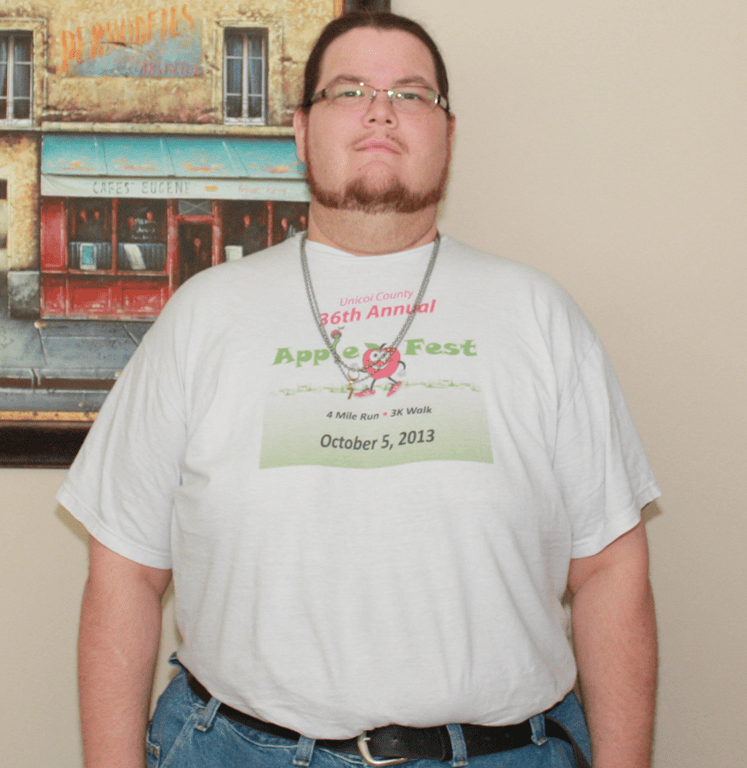 Luckily I was recovered enough from the accident to enter in the 3K walk at this year’s Apple Festival in Erwin, TN. And much to my surprise I came in 3rd place in my age group (30-39 yr.) and even have a tiny little trophy to prove it. This was my first official event and I have to say I enjoyed it thoroughly and plan to do more of these in the future as well as my 5K goal in March of next year. finally this update doesn’t include any real weight loss (I’ve dropped a pound since last week), in fact I put on a few ounces this morning in the form of a full set of metal braces (uppers and lowers). That’s right I’m 35 years old and I got braces for the first time in my life…and it’s okay to laugh…I did. But it was something I had to do as my cross bite and over bite are starting to cause more trouble as I get older so I figured it was time to get that fixed. »The Costume the “Doctor” & the weight loss.